Last Friday was a night of vocals at the Mlimani City Hall in Dar-Es-Salaam as our very own Juliana Kanyomozi headlined the Vocals night, which had Judith Wambura Mbibo aka Lady Jaydee as the host and Zahara from South Africa who sings in her native language, Xhosa, and English. Lady Jaydee is one of the Bongo Flava female artists specializing in RnB and Afro Pop, she has been in the game for close to two decades. Juliana was more than happy to be performing in the same venue that she did way back in 2011 during the Miss Tanzania finals. "Last night (Oct 26) Mlimani City was on fire. Still looking for the right words to describe it. Nashkuru sana Tanzania, Nawapenda sana," Juliana noted. "Tunakupenda pia! Juliana karibu tena TZ"
"You just stole the show mama your performance was lit," were some of the comments that followed. 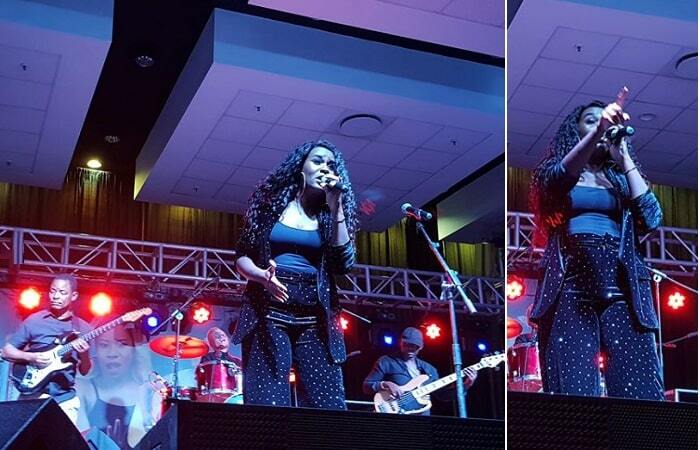 Juliana performed one of her best collaboration songs that she did with Bushoke from Tanzania dubbed 'Usiende Mbali', it is still good food for the ears several years later and the crowd loved it to bits. 'Right Here' is another song by Juliana that brought out her vocals, she also performed her other hits, leaving the folks in area code +255 yearning for more. 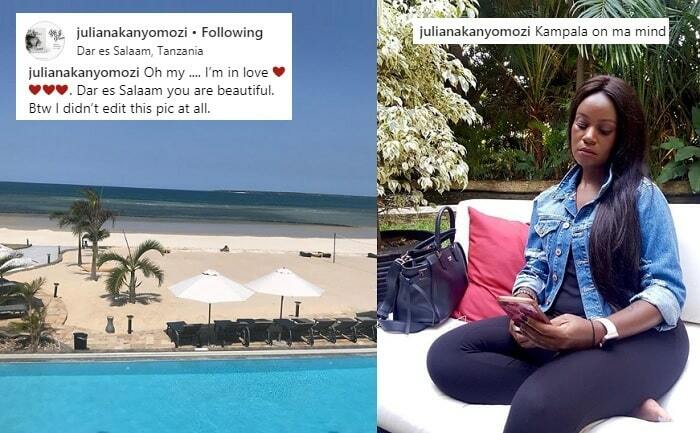 It was time for our diva to enjoy the attractions there and Ramada Resort was one of the places she loved, but like they say; 'There's no place like home' Juliana was having Kampala on her mind, she could not wait to come back. "Oh my...I'm in love. Dar es Salaam, you are beautiful," Juliana captioned a shot she took from her view. This East African connect is taking real good shape at this rate. Juliana's performance is coming, days after Nameless from Kenya was the lead performer at last week's Comedy Store in Kampala. Charly and Nina from Rwanda and Diamond Platnumz from Tanzania were performing at the same birthday bash in Entebbe not long back. 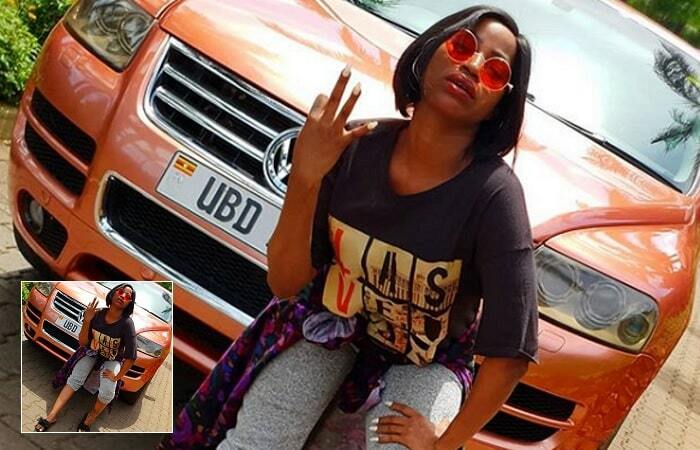 Sheebah Karungi showing off her new ride a Volkswagen Touareg Model 2005 in UBD series! !